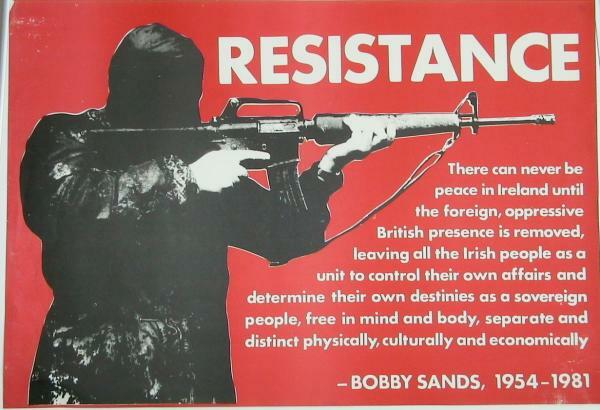 Description: A Republican poster in support of the (Provisional) Irish Republican Army (IRA). 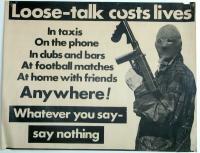 The poster advises people living in Republican areas that their conversations could be monitored by the security forces. While it may not have been intended there is also an implied threat of what would happen to anyone who did not heed the advice. 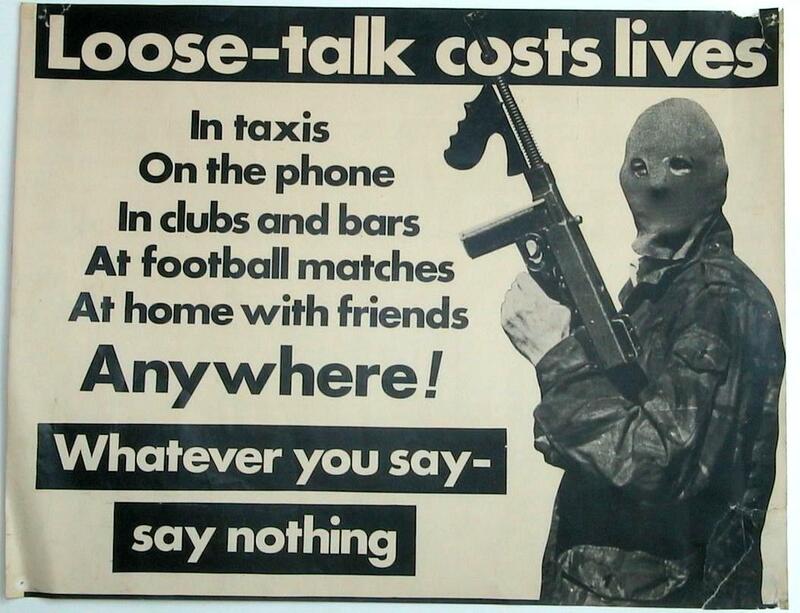 Description: A Republican poster in support of the (Provisional) Irish Republican Army (IRA). The photograph in the poster shows three IRA members posing with a number of weapons (including a SLR rifle and two RPG rocket launchers). 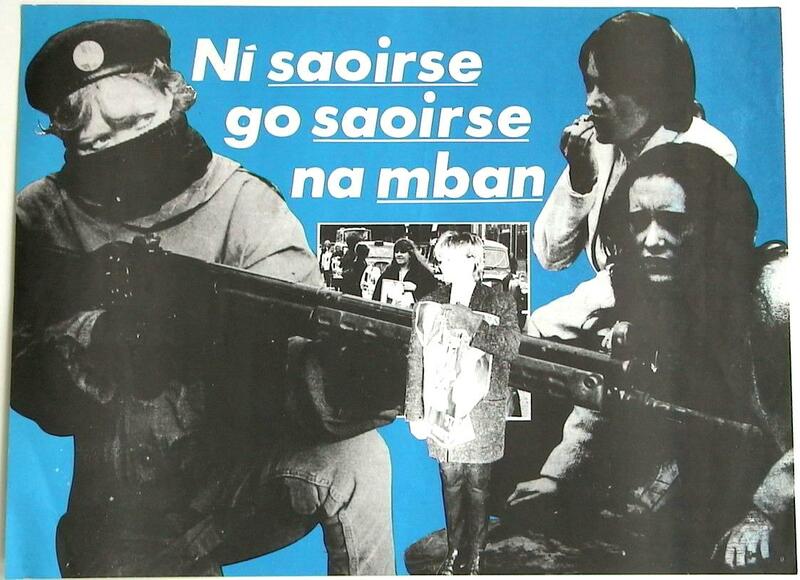 Description: A Republican poster in support of the women's movement of the (Provisional) Irish Republican Army (IRA). A rough translation is: "No Freedom, Until Freedom, Of Women". 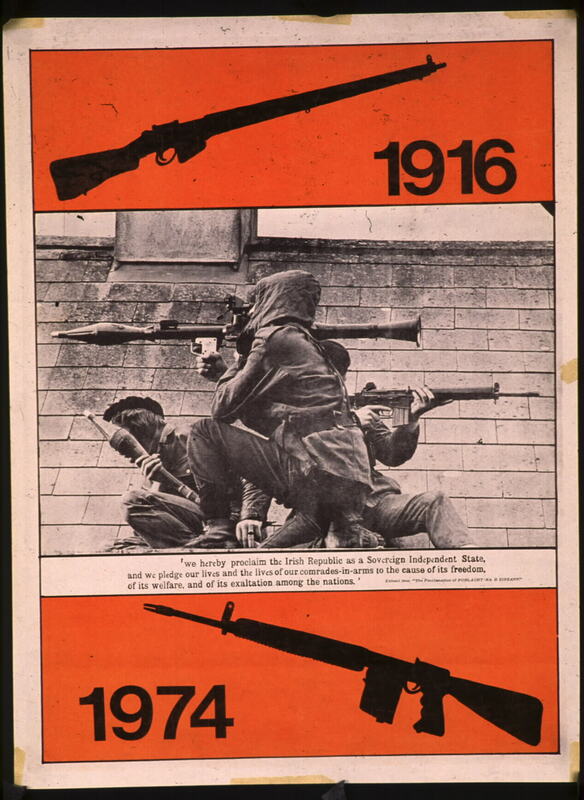 Description: A Republican poster in support of the (Provisional) Irish Republican Army (IRA). The poster contains a quotation from Bobby Sands who died while on hunger strike in 1981.